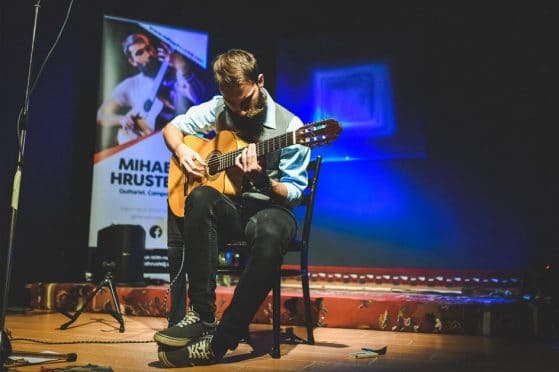 Mihael Hrustelj (1991), Slovenian guitar player, arranger and composer, started to play guitar at the age of 13 as every young boy that wants to impress the girls. But his first ever encounter with music was playing the little CASIO keyboard when he was still just a kid, and exploring different sounds that were on that toy. His parents were always amazed how he got isolated every time when they gave him that toy to play with, he was able to play for hours just fiddling around with sounds. His music career started with metal and rock cover bands that continued with playing in big bands, jazz rock fusion groups. 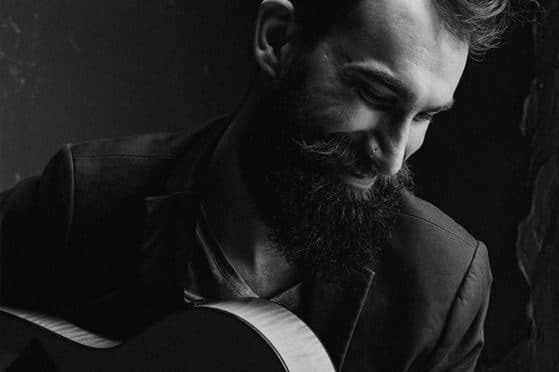 After seriously grasping for guitar he ditched the idea of becoming a pilot and rather got himself into classical music and as a classical guitar player, started to explore the power of classical guitar sound which became his greatest love. 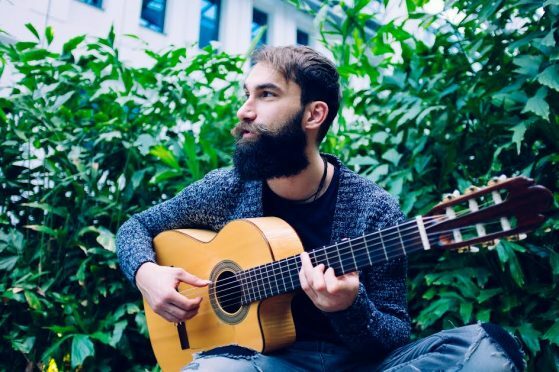 He even participated in a couple of international classical guitar competitions. Composing was always a part of his routine, therefore making a band to play the music that he made was an absolute dream. 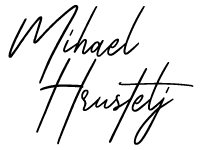 And in year 2012 his own Mihael Hrustelj Trio was formed since then they toured in several European countries and attended beautiful festivals. His main influence from the beginning was rock music especially rock bands from former Yugoslavia. 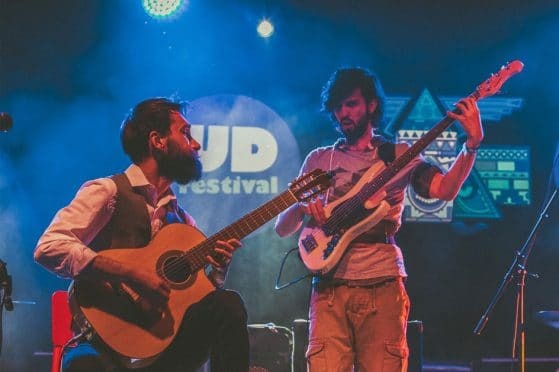 As well as progressive rock bands the repertoire of influences is still growing, that is why in his playing we can find traces of all kinds of music, from classical, reggae, pop, funk, rock, Indian classical, Balkan traditional music. Currently he is living and working in Rotterdam in the Netherlands where he has his own studio and a guitar school. Thanks to all of my friends accepting me as I am with all my social cramps, phobias, dragons, those who see hope in me, those who share their warmth and kindness with me. And now, on to growing and creating meaningful things.